It only took 6 years, but I finally hiked to the trail head to map and time it. 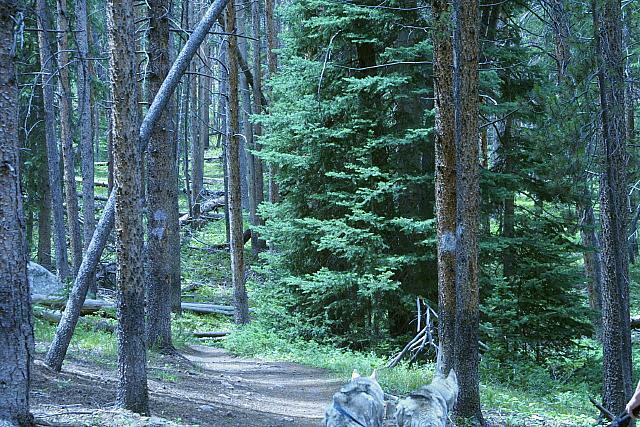 This page will show just the Mesa Cortina trail, not the numerous hikes that use all or part of this trail. Since the hike went from our house to the trailhead and back, I don't have driving directions to the trail head. 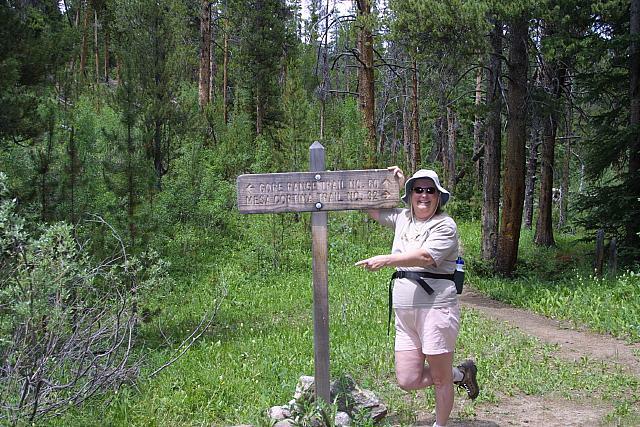 Total time to hike the full trail at a slow pace is approximately 1 hour 20 minutes each way. The trail starts out following a buried natural gas pipeline. You can see the marker as a round sign on the middle right of the picture. Entering the Wilderness, you start the most serious climb on this trail. After leveling out, at about 1.56 miles, a trail comes in from your left. 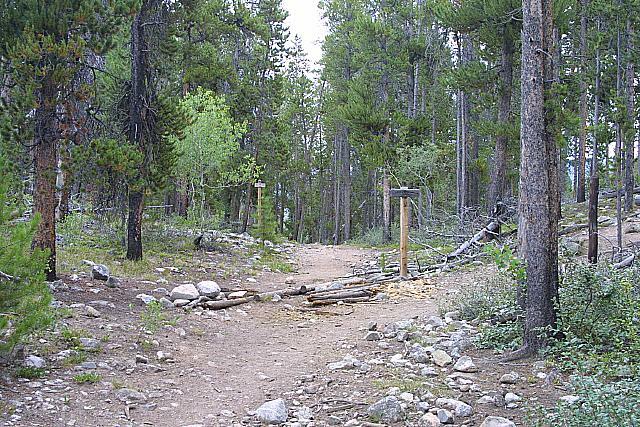 This trail will lead you to the Buffalo Cabins. A map showing this hike can be had here. 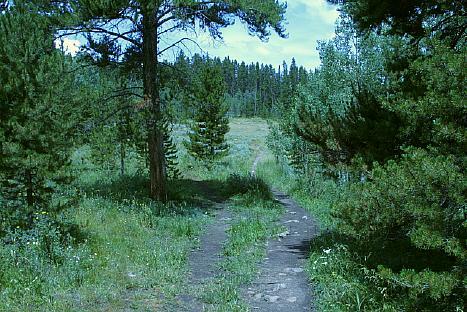 At approximately 1 hour out, a trail comes in from the right, this trail leads only to Ruby Ranch and has no public access. 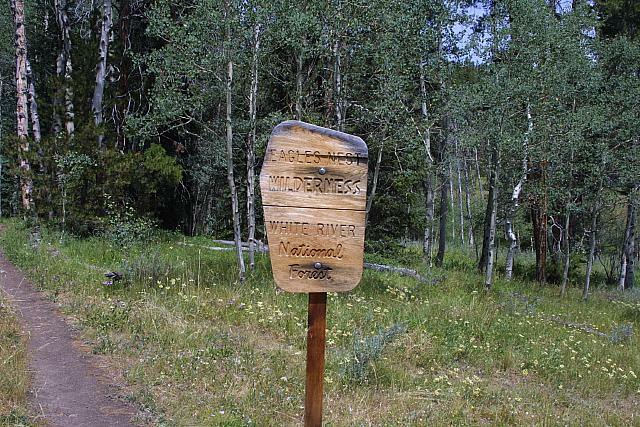 Just before this sign you cross an intermittant creek. When this creek is running, people think that they are crossing the South Fork of the Willowbrook. You are not. There is still 10 to 15 minutes of hike left. 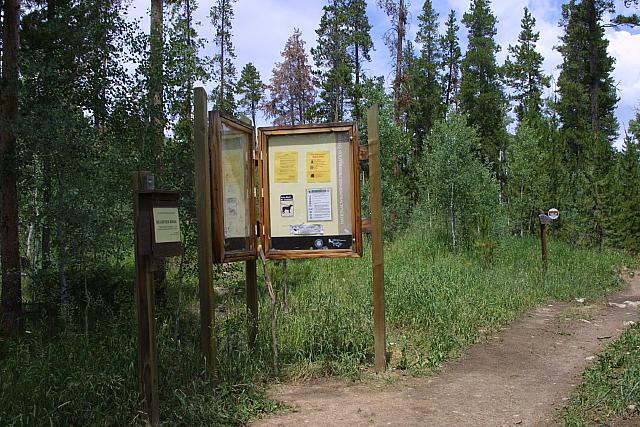 The sign on the right is on the trail and says Mesa Cortina. Further back on the Ruby Ranch trail seen just left of center is a sign that says no-outlet. 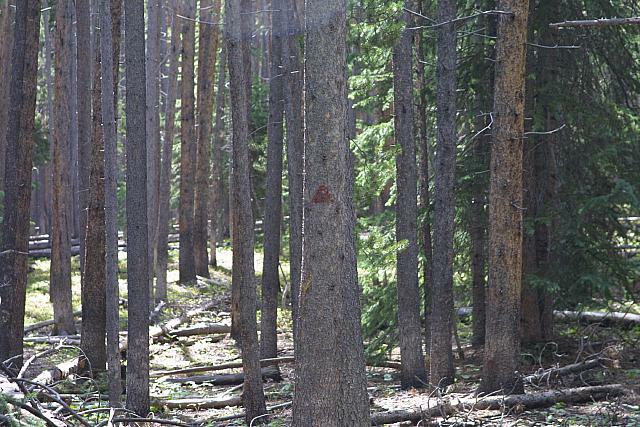 Immediately after crossing this area, a trail comes in from your right. 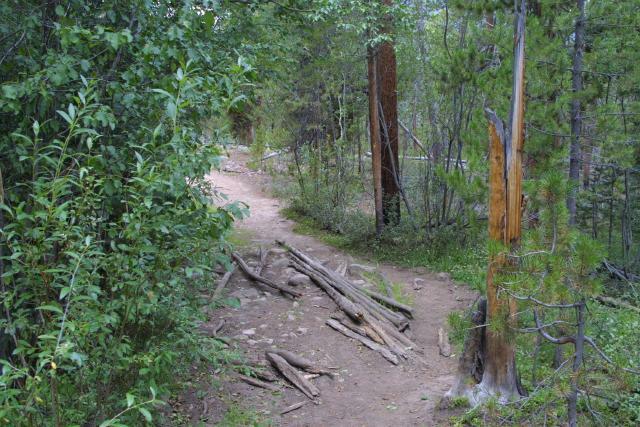 This trail leads to the Willowbrook housing development as well as another Ruby Ranch access point. 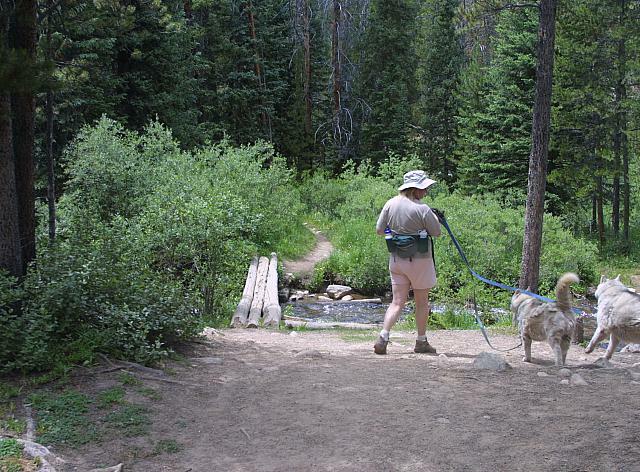 Followed immediately by the actual creek crossing on what I call the "3-log bridge"
The Gore Range Trail comes in on your right, and continues straight, as if the Mesa-Cortina trail never stopped. 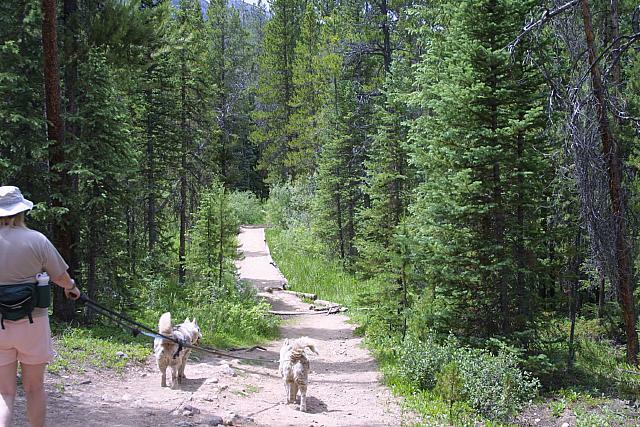 From here, follow the Gore range trail straight, and Willow Falls can be reached in about 1.7 miles and 50 minutes. Hikes that continue on from this point are numerous.